You would need one big tree to hang these ginormous ornaments! 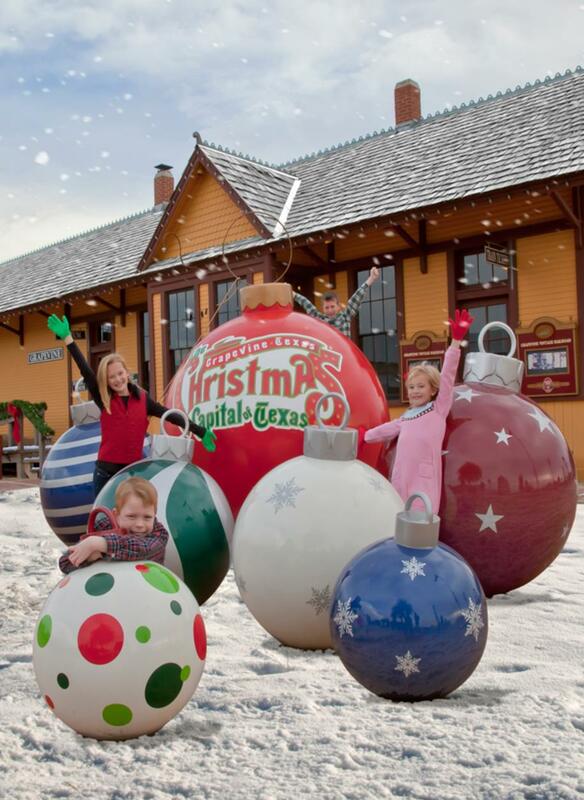 Luckily for you, these giant ornaments make for the perfect backdrop for a fun photo with the family. 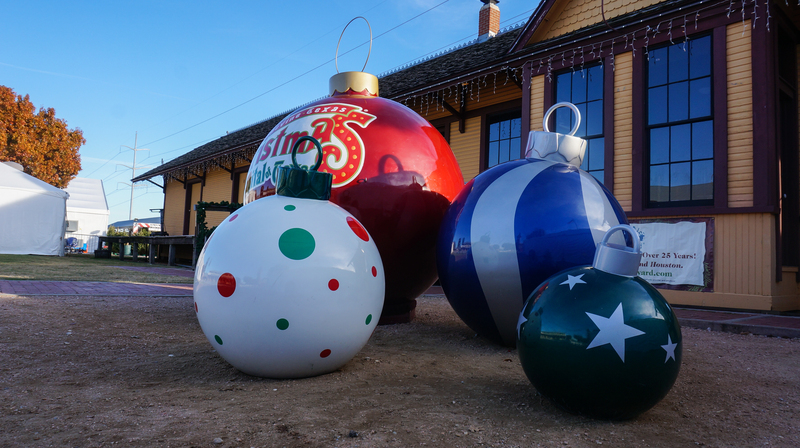 Stop by the Grapevine Vintage Railroad to get the perfect shot. 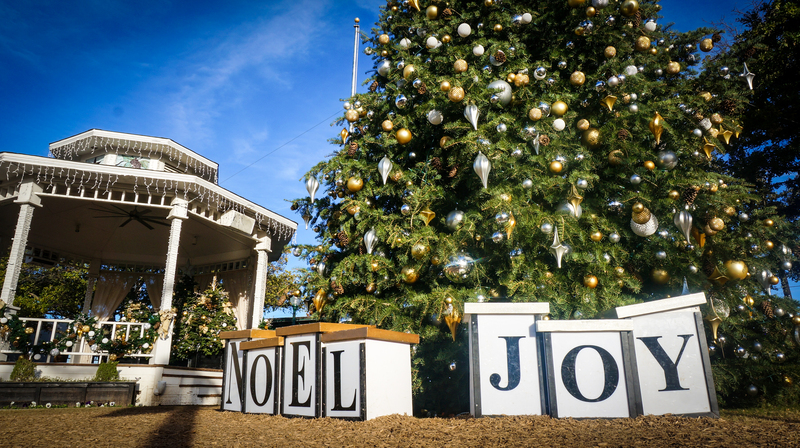 You&apos;ll find a variety of fab photo ops at the Town Square Gazebo, including a beautifully decorated tree with presents, a small sleigh and of course, the gazebo that&apos;s a perfect spot for a family of four or twenty! 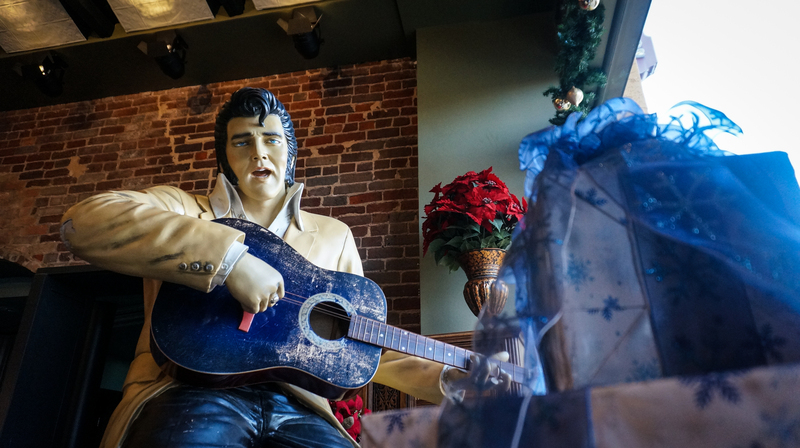 Shake, rattle and roll your way over to the Lancaster Theatre and snag a selfie with Elvis. We hear that he loves it when visitors stop by with their favorite tacky Christmas sweaters on. Just remember to get your pics during regular business hours. 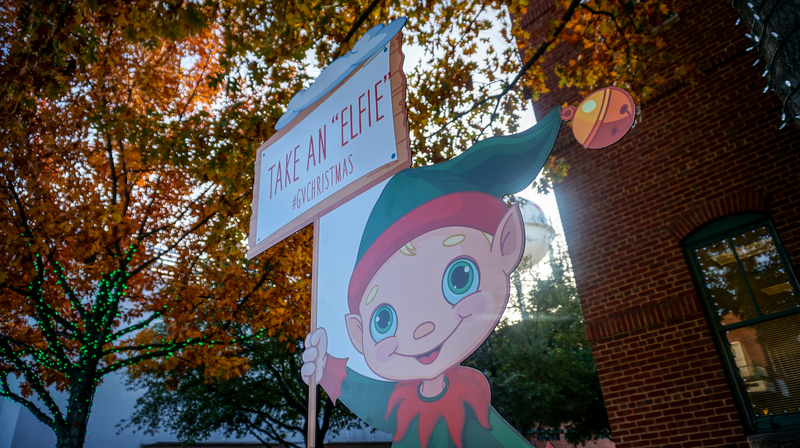 Right outside of City Hall, you&apos;ll find one of our favorite elves in Grapevine. Find him for a very merry moment here in the Christmas Capital of Texas! Sitting outside of Messina Hof, you&apos;ll find the friendliest man in all of Texas. 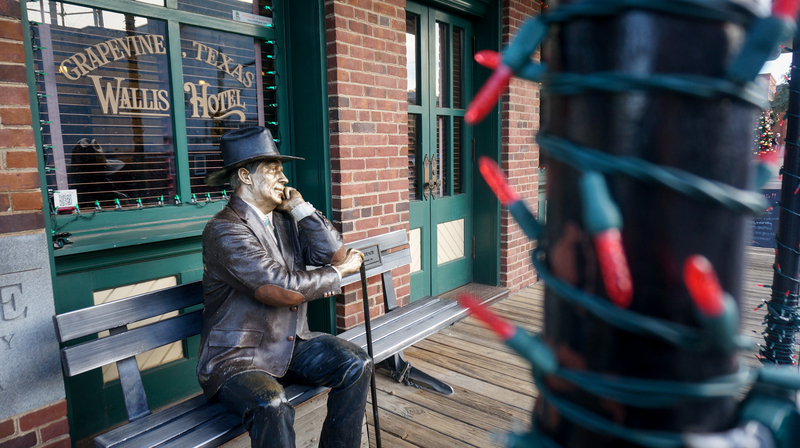 Take a seat with our pal, "The Sidewalk Judge," for a fun holiday photo. 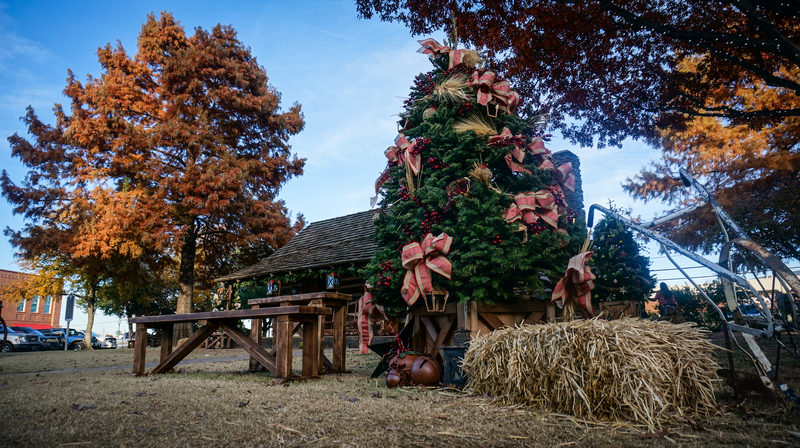 Liberty Park is home to some of the best spots for Christmas pics in Historic Downtown Grapevine. 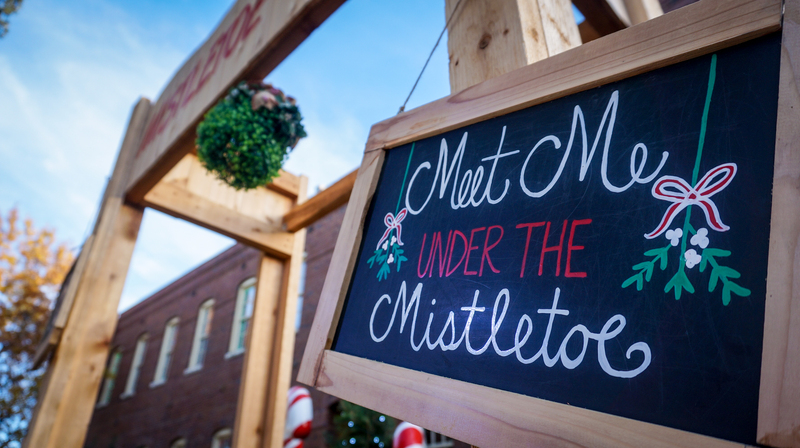 From picturesque backdrops at Torian Cabin, to a mistletoe kissing booth, this is your one-stop-shop for making the most out of your photo adventure in Grapevine! 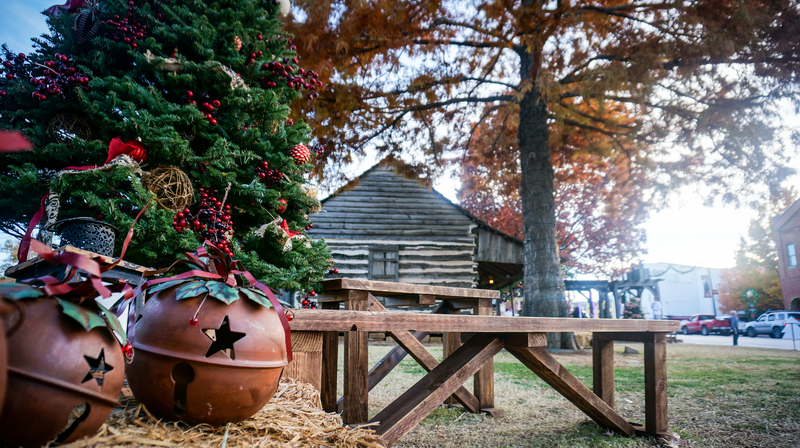 Now that you have some ideas, don&apos;t forget to share your Christmas Capital of Texas memories with us on Twitter and Instagram using the hash tag #GVChristmas. 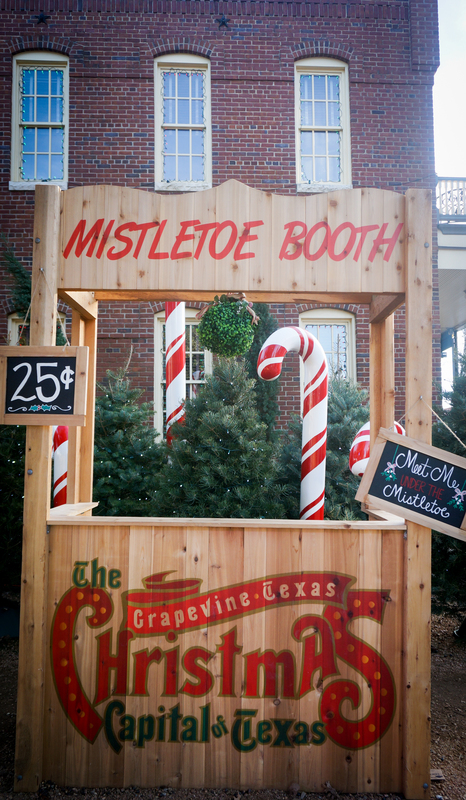 Be sure to visit us at www.GrapevineTexasUSA.com for even more holiday adventure ideas here in Grapevine, Texas.